This is a 2.4K (1.5mi.) round trip through a beech-maple forest, open fields and dunes with a spectacular view of Lake Michigan. The terrain is hilly. Stop at the trailhead for a self-guiding brochure describing the scenery. Trailhead: Wilco Road off M-22, (2.7K [1.7mi] south of Empire). The National Lakeshore charges a visitor fee of $20 per vehicle for a seven day pass or $40 for an annual pass. Mountain bikes are not allowed on any of the National Park trails. Pets must be kept on a 6-foot maximum leash. 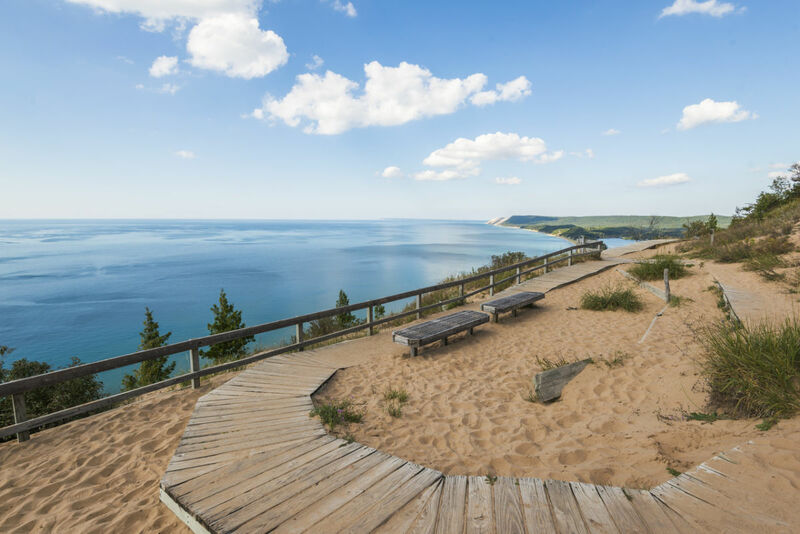 Stop by the Traverse City Tourism Visitor Center for a printed map or download a map from Michigan Trails Maps for a small fee.